The skies are dark, rain is falling and the wind is picking up. I need some soaring pop tunes to lift my mood and fee alive. And here to the rescue is "Feel Alive", the opening track of Souls, the debut EP by Norwegian band Aleks Grey. I can't listen to the song without smiling and moving around. The second track, "Unstoppable" continues in similar vein. At this point, I could almost believe that the sun is starting to come out. The beginning of the piano-driven "House" offers a mid-tempo, more contemplative take on pop, but unspools with a loud/soft dynamic and lush vocal harmonies. The piano remains the main instrument for the lovely following ballad "Save Me". But knowing what we need on foul weather days, the band's final offering -- appropriately named "Storm" -- dives back in to the anthemic pop that is this band's sweet spot. Aleks Grey, make a note of the name and look into this EP. It will make you day better. The band is Aleksander Raftevold (aka Aleks Grey), Reece Cairns, Eline Brun, Andreas Oxholm, and Andreas Skuggen. Zack Buchanan is The Outdoor Type. It's true -- it says so on his Facebook page. But more important than his implied rugged demeanor and skill in building a fire in the wilderness, Zack is an excellent songwriter and musician. We first featured his music a year ago (link) to feature his shimmering "Are You Happy", a wonderful tune with a '70s country rock vibe. Last April we featured "When The Sun Goes Down" (link), an equally good post punk song, and a month later featured his debut EP (link). So I guess you could say we favor the outdoor type. Zack is back again with "On My Mind", which takes a scrappy, bouncy, but thoroughly engaging song with hints of Lou Reed (not completely an original thought on my part) and a bit of The Clean. As a music blogger, I have a list of favorite blogs that I check myself, either because I like the way the bloggers address and write about the topic, or because the blogger has access to music to which I don't have ready access. One of such blogs is Ian's Pop Lib blog. 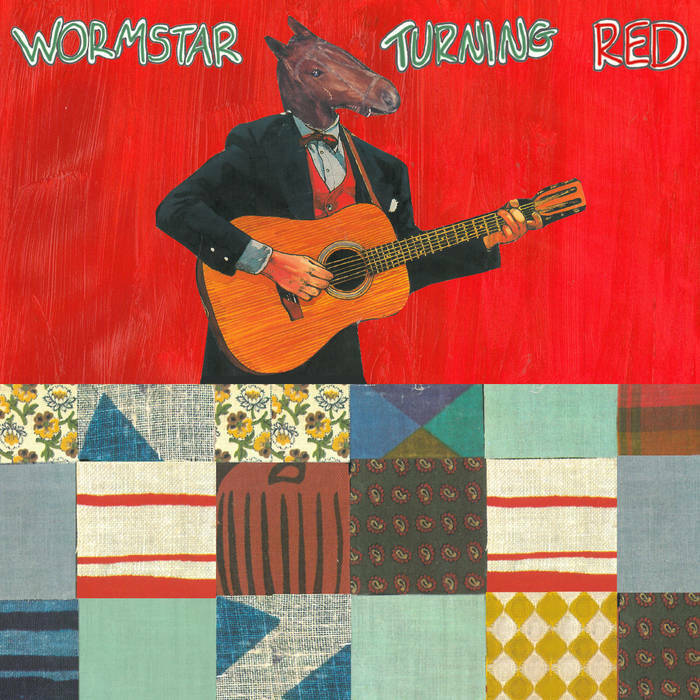 His most recent post features an Auckland, New Zealand-based band (although I think they have roots in Montreal) named Wormstar. The band's recent album, Turning Red, is the sort of jangling guitar pop -- alternating between woozy shimmer and fuzz -- that we love here at WYMA. Test drive a few songs below and if it tickles your ears, click on the Bandcamp link below. Efe Tekkanat is Oceans, a Finnish producer who crafts electronic soundscapes featuring warm tones, bright colors and surging rhythms. His second EP, Thrill, which is out now via Helsinki's Soliti Music, seems to find the artist in transition. While retaining his feel for atmospheric songs, Efe's five offerings on Thrill will be more than welcome on the club playlists. I find it a confident and well executed progression, resulting in an EP with provides considerable immediate satisfaction and intriguing promise for the future. Alert readers will note that "Give All" is available for free download. The Chills command a certain amount of attention in indie rock circles just by dint of their importance to the emerging New Zealand guitar pop scene in the '80s, the transcendence of their better songs, and the human drama of their changing lineups and the personal travails of frontman and lone constant member, Martin Phillipps. And if that helps bring music fans to Silver Bullets, their first album of new music in 19 years, then that is a fine result. Because the album should be attracting attention for what it is; and that is classic Chills guitar pop. Infectious guitar lines, accented by keys, soaring over a sturdy rhythm section and with the plenitude of hooks that Phillipps seems to craft as well as anyone in the business. Moreover, the listener finds Phillipps in fine voice, with the focus on nuance and passion rather than range and volume, he is as good as he ever was. Silver Bullets begins with a dramatic intro, and then launches into the delicate and dramatic "Warm Waveform", the rousing "Silver Bullets", and the pensive "Underwater Wasteland". All three are album highlights and, in my view, compare favorably with the band's work in the '80s and early '90s. "America Says Hello" delivers political observations in a classic Chills wrapper, while "Liquid Situation" is a too-short slice of early '80s Dunedin pop-punk. "Pyramid/When the Poor Can Reach the Moon" wears a dream-pop mantle for the beginning, then transitions into an experimental rock tune, and then becomes an upbeat pop song. Track 8 is the pacy "Aurora Corona", which to my ears is one of the best three songs on the album, and may deserve release as a single, and the following "I Can't Help You" is only slightly behind it. "Tomboy" provides a more serious note before the album ends with the triumphant "Molten Gold". This album reaffirms Phillipps' knack for marrying the scrappy South Island New Zealand guitar sound with soaring pop sensibilities, crafting pop gems that feel memorable and timeless. In terms of consistency and quality, this is among the best set of songs in The Chills' discography. The current version of The Chills consists of Martin Phillipps, James Kickson, Todd Knudson, Erica Scally, and Oli Wilson. Silver Bullets is out now via Fire Records.